Published by The Conversation. View the original post. By Tim Forcey, energy advisor at the University of Melbourne Energy Research Institute. South Australia produces plenty of wind power, but it might become more than the grid can handle. 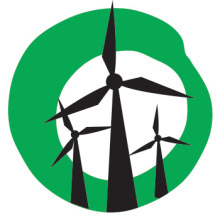 In late September, the Australian Energy Market Operator (AEMO) released a report investigating how wind can better be integrated into the power grid. AEMO reports that as more wind turbines are deployed over the next seven years, constraints on the way our electricity grid works – including bottlenecks in the system – mean there may be limits on how much wind-generated electricity we can use. AEMO has not yet investigated what long-term solutions exist to avoid curtailing wind. But a joint study by the engineering and consulting company Arup and the University of Melbourne Energy Institute is looking at one possible solution. Electricity system operators and investors could use pumped hydro energy storage to complement the growing deployment of renewable energy. The current grid struggles to push power through when it is being generated in large quantities, and to meet demand when generation is low. Storing energy from wind using pumped hydro means the electricity wouldn’t have to be sold as it is being made, but could be saved for later. 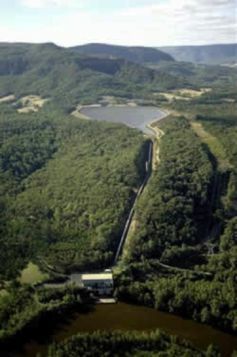 A pumped hydro facility consists of two water reservoirs at different elevations. To store energy, water is pumped from the lower reservoir to the higher one. To generate electricity, water is returned to the lower reservoir through a turbine. This gigantic battery can be used to overcome the wind-related grid constraints AEMO identified. In our research we have found that, for Australia, the best technology may be pumping seawater up to coastal cliff tops. Pumped hydro is by far the most significant form of large-scale energy storage used globally. It makes up 99% of all large-scale energy storage. Unlike conventional river or stream-fed hydroelectricity generation, it does not require a continuous supply of water. This makes pumped hydro less sensitive to drought cycles (although allowances must be made for losing water to evaporation). In Australia, there are already large-scale pumped hydro facilities in Queensland (Wivenhoe, 500 megawatts) and New South Wales (at Tumut-3, 600 MW, and Shoalhaven, 240 MW, see image below). But no large-scale facilities have been built in Australia in the last 30 years. All over the world in decades past, pumped hydro was built to support constantly loaded nuclear or coal generators. Today, pumped hydro is resurging overseas as it supports renewable energy sources such as tidal, solar photovoltaic, wave, and wind. Ten gigawatts of pumped hydro is under construction in China and a further ten gigawatts is under construction or being studied in Europe. The United States recently passed legislation to spur pumped hydro development. Barriers to Australian deployment include doubts about satisfactory project economics and the perception that suitable development sites are rare. The MEI/Arup investigations found many benefits from building more pumped hydro and connecting it to the grid. It investigated locations such as far north Queensland, western Victoria, King Island, South Australia and Western Australia. AEMO’s work found South Australia and Victoria are the states where wind generation is most likely to be curtailed by 2020 by grid restrictions. These states don’t have large-scale pumped hydro, but they could benefit from it already. 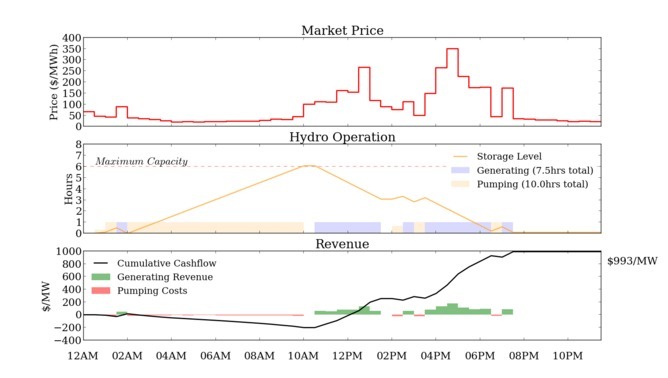 For the South Australia electricity market, we investigated the benefits of buying wind power when it’s cheap, storing it briefly in hydro, then reselling it when power is more expensive. We found that pumping from the lower dam to the higher dam for six to ten hours, holding the power for a few hours more, then releasing the water to generate electricity provided optimum financial benefits. Where could we put pumped hydro? But are there suitable places to cost-effectively build pumped hydro in South Australia? It’s a relatively low-rainfall state and conventional valley sites may have high conservation values. Because of these geographical characteristics, the most-likely form of pumped hydro for South Australia are coastal cliff-top seawater facilities. 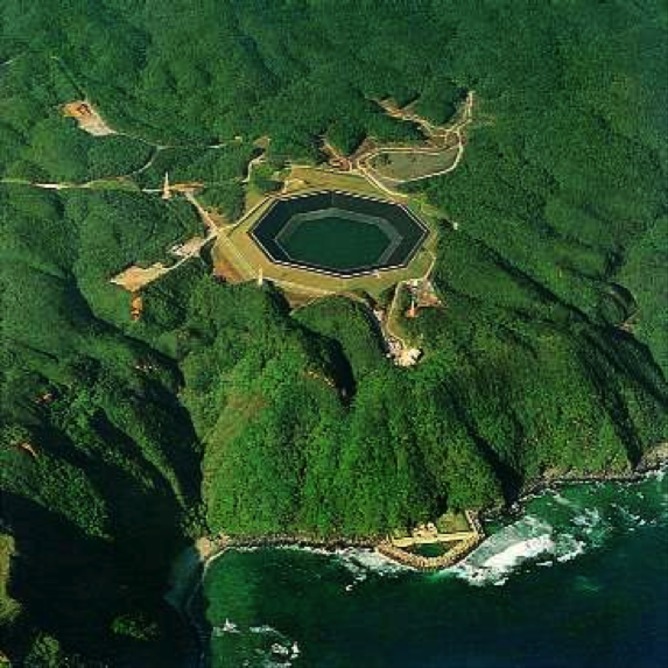 There is a facility like this – known as a “turkey-nest dam” – on the island of Okinawa, Japan: see the following image. This facility, visited by MEI, has been operating satisfactorily for over 14 years. It wasn’t originally built to store wind power, but now does. A turkey-nest type dam can be cost-effectively built on flat ground, requiring no natural topographical depression or valley. “Turkey-nest” type dams are widely used overseas for freshwater pumped hydro. They are also commonly used in Australia for general water storage. There are many suitable coastal sites in South Australia, western Victoria, and elsewhere in Australia. Pumped hydro energy storage could help electricity system operators and investors get more value from wind installations. Pumped hydro will also complement renewable energy as it grows. An updating of coastal cliff-top seawater “turkey-nest” technology and demonstrating it in Australia is a logical next step.